The modern bun, or chignon, is a favorite updo hairstyle among fashionable women. The word “chignon” comes from the French phrase “chignon du cou,” which means nape of the neck. The chignon hair styleis one of the easiest ways to get spruced up for a night out on the town is tying your hair back into a simple updo. It’s surprisingly quick and easy, and it’s sure to win you a few admiring glances. If you are looking for some easy elegant updos, the chignon maybe a great hair style for you. Here is a gallery of chignon hairstyles. 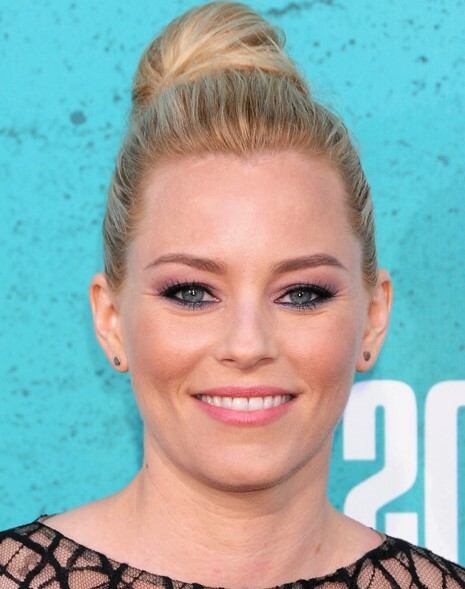 Elizabeth Banks Hairstyle: This is one of the most classic Chignon hair style from Elizabeth Banks. If you have at least semi-long hair this will be easier to do. If you have a glamorous night out on the town or just want to get the weight of your hair off of your neck and shoulders on a summer day, a chignon is an easy and elegant way to accomplish this. Camilla Belle wore her hair in a super sleek, classic chignon at an evening with Ralph Lauren hosted by Oprah Winfrey. Chignon buns are perfect for just about any age and occasion. A messy, casual chignon is perfect for school or a day running errands. Formal chignons are best for weddings and proms. It is modern and classic at the same time. An updo hairstyle for women, the chignon features an elegant bun at the nape of the neck. A Spanish chignon is a variation of the hairstyle popularized by female Spanish flamenco dancers. Hofit golan rocked a classic chignon at the amfAR Gala. Loose center part tendrils framed her face. Celebrity Lara Spencer loose updos: a romantic chignon hair style for women. This is a fab ‘do to wear to any special occasion. African American Black hairstyles for women: the chignon. La La was a modern day princess in a sheer blush gown. She paired her elegant look with a side swept chignon. Perfect chignon hairstyle for wedding! Taylor Swift looked every bit the lady with a twisted chignon. Hairstyles for 40s: Sandra Lee pinned her hair up in a classic chignon this time. Sleek Chignon Hairstyle: this is a perfect hair style for wedding! Rachel Bilson opted for a classic look at the Tribeca Film Festival with a sleek chignon and wispy bangs. This is section #1 on Chignon Hairstyles, we will update more new chignon hair styles in the near future.